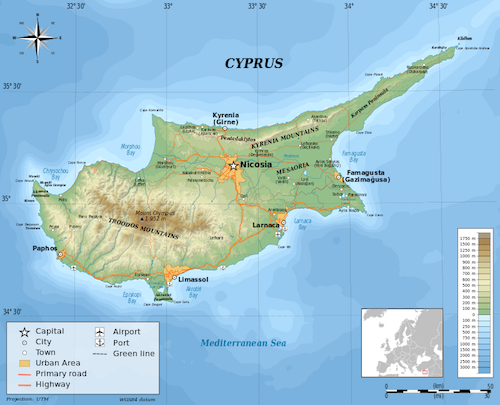 Greek and Turkish Cypriot political leaders have made progress in talks aimed at the political reunification of the island (part of which is effectively occupied by Turkey) on the basis of establishing a two-zone, two-community federal state.The talks might be a model for settling other disputes between European Union members. A broad agreement seems likely by the end of the year, after 42 years of the nation being divided between the Turkish northeast and the Greek rest of the island country. To read The Wall Street Journal article on these developments, please hit this link.